Do আপনি think there should be a Battle Royale anime? Have আপনি read the mangas? I feel very bad for Kayoko because she feels very bad at the time of her death. She shoots an (unknown to her) innocent person dead, just to find out he was in প্রণয় with her. Her devastated monologue after Hiroki's death makes me cry. She may die quick and painless, but that doesn't make up for the painful guilt she feels before her death. A জনপ্রিয় fansite for all media associated with Battle Royale. a comment was made to the poll: Who Was Your পছন্দ Character? 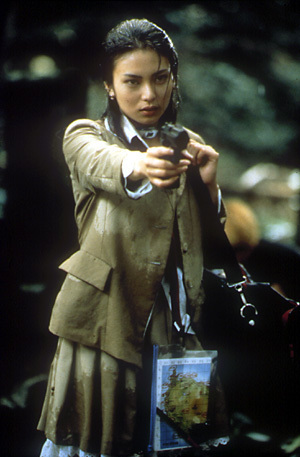 How many students did Soma Mitsuko kill during the tournament?